Defined as companies that are supporting communities at the bottom of pyramid or through the supply chain, inclusive businesses often struggle to access capital and support. Often depending on traditional finance institutions for business loans, inclusive businesses will need to identify alternative finance mechanisms to scale for impact. In partnership with the Inclusive Business Action Network (iBAN), AVPN is implementing a 3-part programme to raise awareness of the concept of inclusive business, train inclusive businesses in becoming impact-investment ready, and explore how capital providers can fit inclusive businesses into their portfolios. AVPN invites you to the first session in the series which will bring together a broad ecosystem ranging from inclusive business owners to investors, philanthropists and government representatives. 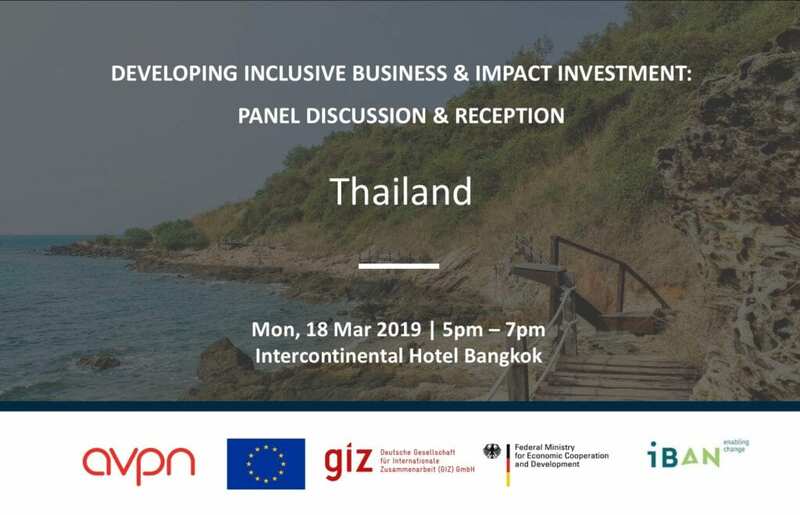 The evening will begin with a panel discussion to bring clarity to the value of inclusive business and opportunities for growth in Thailand. The gathering will conclude with a networking reception, encouraging participants to connect and learn from one another as well as interact with both international and local experts. We hope you can join us. Please register your interest to receive a formal invitation and further event details. Vichien has nurtured numerous initiatives that seek to engage citizen participation in solving public issues. He founded three foundations to tackle inequality and to create change in Thai Society, focusing on the future of education, active citizenship and environmental protection. He is also a prominent contributor to public institutions such as Anti-Corruption Organization of Thailand, where he serves as the Chairman. Vichien is a co-founder of the BKIND Fund, Thailand’s first socially responsible investment mutual fund which invests in Thai-listed companies that meet sustainability targets. Ada Hua is the Head of Inclusive Business ASEAN for Covestro- a leading polymer company in the world who exists to make the world a brighter place with smarter and more sustainable solutions. Before this role, Ada has worked in market development, product management and competitive intelligence in the business world. Now she sets herself on the journey to making the paradigm shift and improving the lives of underserved communities. She holds a Master’s Degree in Business Administration from Assumption University in Thailand. Sunit Shrestha is founder & Managing Director of ChangeFusion, a non-profit institute under Thai Rural Reconstruction Movement Foundation under the Royal Patronage. ChangeFusion supports social enterprises in various areas including appropriate technology for sustainable agriculture for lower income rural farmers, sustainable tourism and more. Sunit also collaborates to design the setup of social investment funds for emerging social entrepreneurs in Thailand & Asia through UnLtd Programs in Southeast Asia, Change Ventures (a social investment holding company) and B-KIND Fund. Artak Melkonyan has 24-year track record of exposure to businesses and non-profit projects in over 40 countries. Before joining UNSIF team, he served as Senior Advisor in UNDP Armenia, while prior to that he was CEO of RVVZ / IDEA Foundation and led innovative venture philanthropy projects in tourism, education, regional development. 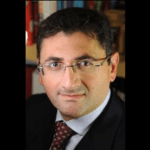 Before that Artak was Senior VP with Dun & Bradstreet SAME and led strategic expansion of the company’s financial infrastructure business to emerging markets in Europe, Middle East, Africa and Asia. His previous experience includes senior management roles in private equity fund, Big4, banking, financial service companies, top government and international organizations.